Feature Newly made model with distinctive design in separating operation panel from display panel. This contributes to the convenient operation. It is equipped with 5W cool LED with the light intensity 1400 mw/cm2 which makes good curing performance. Two operation modes: A: Ramp mode: Generally increasing power in first 5 seconds, then full power till the end. 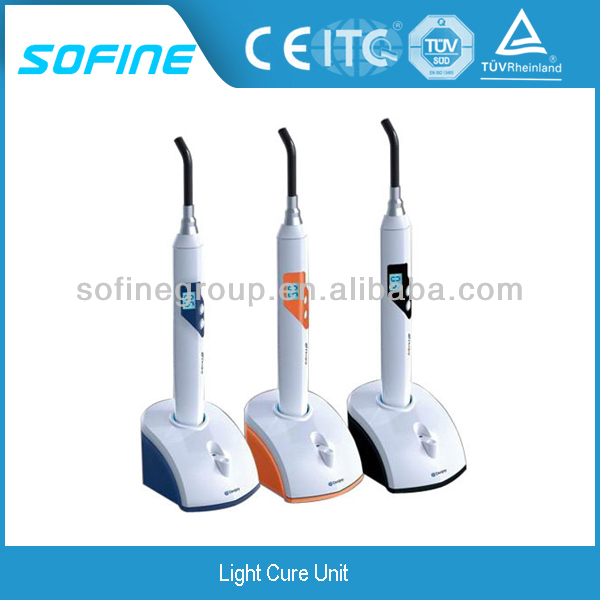 Contact us if you need more details on Dental Led Light Curing. We are ready to answer your questions on packaging, logistics, certification or any other aspects about Dental Led Light Curing、Dental Led Light Curing. If these products fail to match your need, please contact us and we would like to provide relevant information.